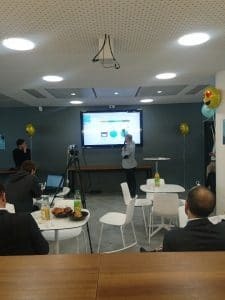 On Thursday April 6 a global employee advocacy program was set in motion at Talentsoft, during a #SocialMediaBigBangDay that saw a leader in HR software and digital transformation launch the Sociabble platform. 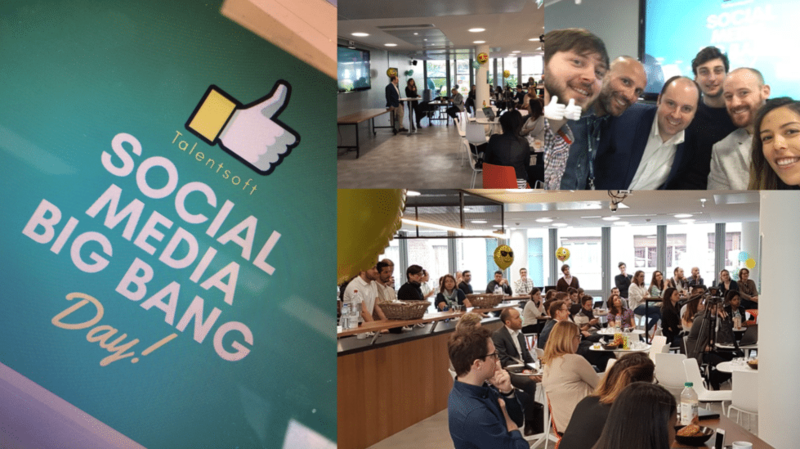 Talentsoft’s #SocialMediaBigBangDay combined in-person presentations and online conferences to engage employees all over the world in an employee advocacy program. Sociabble teams were present at the event and introduced Talentsoftees to the Sociabble employee advocacy platform. Sociabble aggregates brand, third-party and user-generated content (UGC) onto themed channels from which employees can share on their own social network accounts. The Platform is available on desktop and as a native application for Android, iOS and Windows Phone. It offers quizzes, polls, challenges, and badges that enable companies to both engage and reward their employee advocate community. Talentsoft will use Sociabble on a company-wide scale to empower employees as brand ambassadors on social media. Creating dedicated channels for different locations, as well as specific themes such as recruitment, market trends, and company life. Activity on the Talentsoft Sociabble platform got underway via a two-week launch challenge. Three Spotify Premium accounts were up for grabs for the challenge winners. Moving forward, Talentsoft will also work closely with the Sociabble Customer Success team. They will identify key performance indicators, implement engagement initiatives, as well as optimize employee advocacy strategy. Sociabble is the leading provider of social selling and employee advocacy software. Our unique platform also organizes brand, third-party, and user-generated content onto themed channels. From these channels, users can share on social media and track subsequent traffic and lead generation. Available natively for Android, iOS, and Windows Phone, Sociabble features include gamification, newsletters, calls-to-action, advanced analytics, lead tracking, and individual performance dashboards. The platform also integrates with a number of CRM, curation, listening and retargeting tools, including Office 365, Salesforce, and RadiumOne. Additionally, used in over 60 countries, Sociabble’s client base includes companies from multiple sectors including; energy, tech and communications, finance, government, education, and media. Contact us to find out more about the Sociabble the social selling and employee advocacy platform, or to arrange a demo.